It is common for a student who has responded to faculty feedback to ask themselves, "What now?" Since most feedback and recommended actions are raised in the first half of the semester, if you're a bit off track, you should have time left to improve your performance and positively impact the final outcomes of the class. If you're being encouraged to get more engaged in campus life, you should be able to consult with people and figure out how best to get involved while maintaining good study habits. Below are some strategies for success after you have responded to feedback. Faculty don't provide feedback to be punitive. They have identified behaviors and aspects of your class performance that could be causing you to be less successful than you planned. As you learn about the FLAGS, you come to understand how many people and offices on campus are invested in your success. Everyone is here to help you, including your faculty member. Pay attention to the feedback from your faculty; it's meant to promote a positive outcome for you. The feedback is simply that - it occurs early in the semester and quickly alerts you to some direct, constructive feedback with recommendations. If the faculty member is providing feedback, even if you do not believe it to be a substantial issue, still take the time to respond and engage in the opportunity. IU has created this system in hopes of combatting many common factors that may lead to early student departure. Like many institutions who have designed and implemented a faculty feedback system as a tool for student success and graduation, IU has created this system in hopes of combatting many common factors that may lead to early student departure from college: academic underpreparedness, low initial commitment, competing "external" factors, academic uncertainty, low sense of self-efficacy, and feelings of isolation. 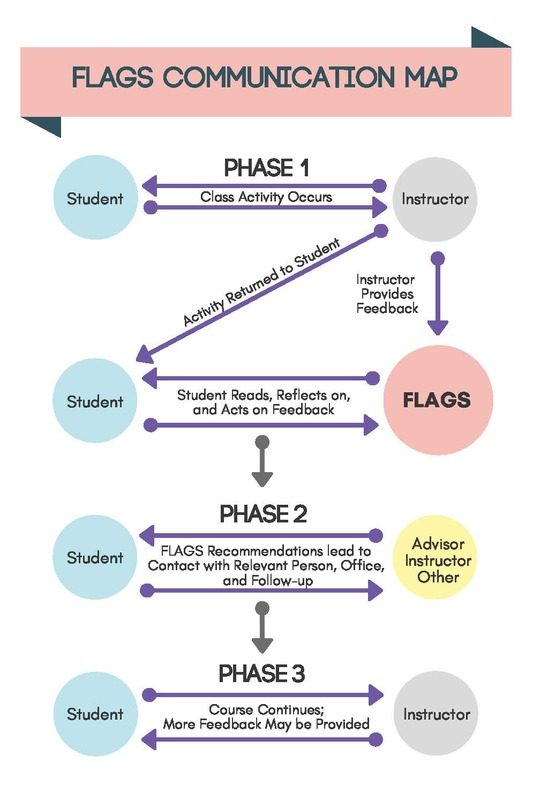 FLAGS feedback can provide you the opportunity to become more deeply engaged in your learning and academic performance overall.